The Committee was created by City ordinance sections 2-450 to 2-454; its purpose is to establish and seek to maintain high standards for the awarding of a mariner's medal to any person or persons performing an act of heroism and extraordinary seamanship on the high seas. 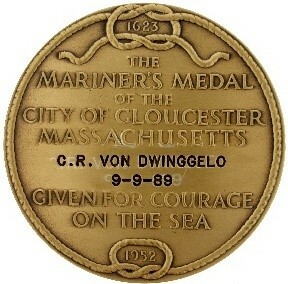 The committee recommends to the City Council the awarding of the Mariner's Medal to such person or persons as the committee deems deserving. The Committee consists of 5 members, each serving a 4-year term.